This lecture will explore comparative mythology as seen through the eyes of one of its greatest exponents, Joseph Campbell. We will learn how Campbell's approach to mythology, and Jung's, both dive deep into the human psyche and inform us about archetypes of the collective unconscious. Jung's research in comparative mythology, together with Campbell's, will provide a broad based view of what Campbell would call, "the one great story of humankind." We will start by viewing a 52-minute clip from "The Power of Myth with Bill Moyers," followed by a guided discussion focusing on the highlights in the film. Jim, backed by a panel of Campbell enthusiasts, will help us explore the many Jungian ideas revealed in the film clip including shadow, archetypes and the collective unconscious. Jim Slouffman has been an artist and educator for over 40 years. Jim received his BFA degree from Wright State University and his MFA degree from the University of Cincinnati. He taught for 31 years at Antonelli College, Cincinnati, Ohio. In his retirement, Jim now devotes his time between two arts organizations he founded: the Kolping Saengerchor (German Chorus) and the Wagner Society of Cincinnati, and researching and teaching on aspects of C.G. Jung, particularly relating to mythology and Joseph Campbell. He is a Dayton, Ohio native and a member of GCFJ. (... the images of the unconscious place a great responsibility upon a man. Failure to understand them or a shrinking of ethical responsibility deprives him of his wholeness and imposes a painful fragmentariness on his life.) In The World Within, this idea is explored as we are given a glimpse inside Jung s Red Book, the diary in which he described his dreams and fantasies. In addition, he recorded these unconscious images with colorful paintings which appear throughout the film, along with his reflections upon their possible meaning. These are the creations, as Jung comments, which have carried me out of time into seclusion, out of the present into timelessness. 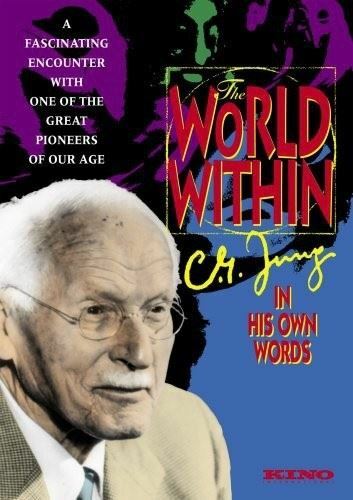 Also included in The World Within is rarely seen footage of Jung himself interviewed in Switzerland. He talks at length about his work on dreams, memory, archetypal figures and the importance of ritual and fantasy. 6546 Montgomery Rd. at Kennedy Rd.